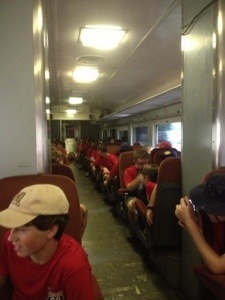 Everybody’s having an amazing time at the Tennessee railroad museum. 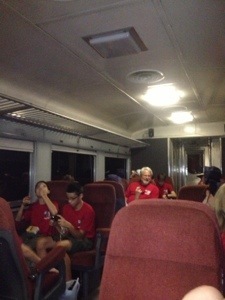 We are now on a locomotive train for a nice long ride. This entry was posted in Troop A229 and tagged Chattanooga, Jamboree 2013, Tennessee RR Museum. Bookmark the permalink. ← We are boarding the Train!!!!!!! !